The same like in 3dsmax. 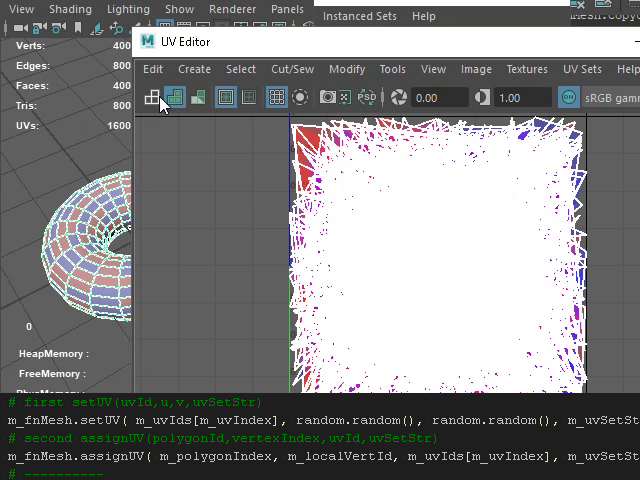 Attach polygons via Maya Python Api and Maya cmds to existing mesh. Not combine, no cheating. Also with skinning support. Quick example working with OpenMaya.MFnMesh setUV and assignUV. Limitation : works only on objects with no construction history. Quick tutorial, easy way how you can transfer velocity vector from Houdini using Alembic. This python node allows user to get equivalent of mia_roundcorners in Houdini. 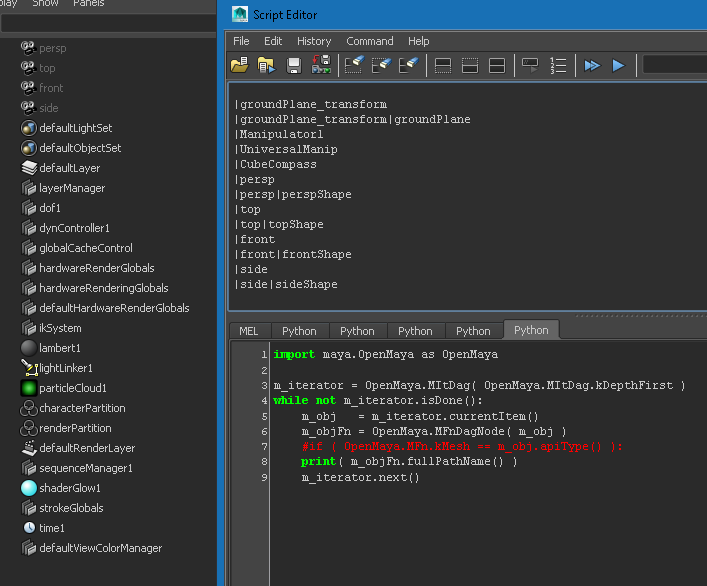 My first Houdini Python Script. This script toggles Camera from PERSP view to SIDE view and back ( depends of camera vector ). You just need to make a Python shelf. Create new Python Tool and link my script.